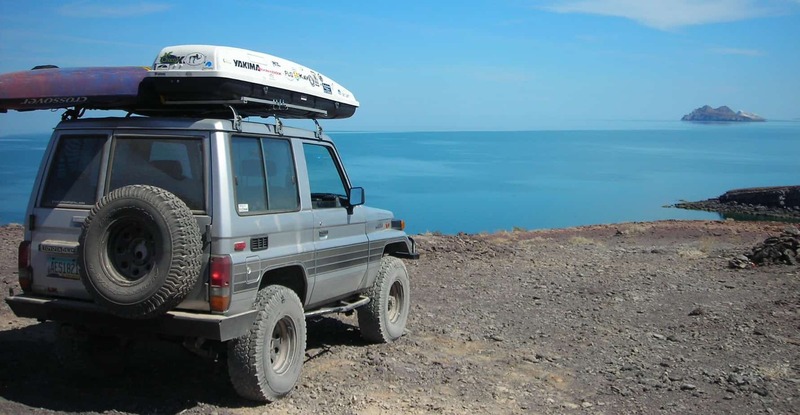 Many makes and models of vehicle can perform admirably for the vast majority of overland travel, and some have proven to be more popular than others. 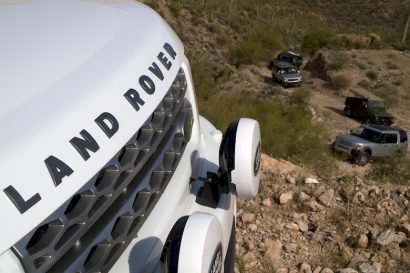 Fewer still have risen to iconic status; having shown themselves to epitomize the ruggedness, reliability and efficiency necessary in the harshest of environments. One such vehicle is the 70 Series Toyota Land Cruiser. 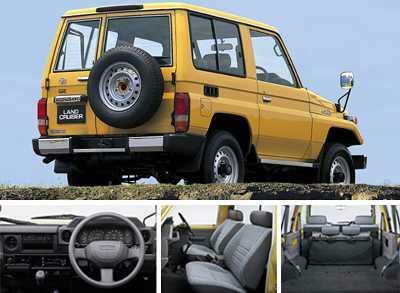 Introduced in 1984 with a new, updated body style from the previous 40 Series Land Cruisers, the 70 Series was offered in three wheelbase designations with the 70/71 indicating short wheelbase models, the 73/74 mid-wheelbase units, and the 75/77 long wheelbase. In 1999, both 2-door wagons and 2-door pickups were released to the market bearing the 78 and 79 Series designations, respectively. 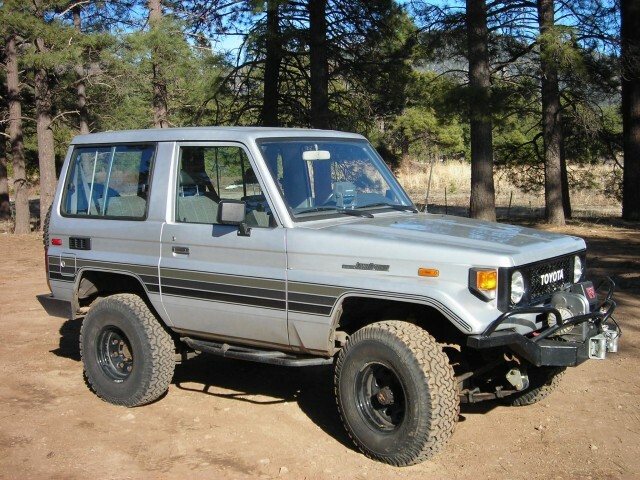 As with other Toyota Land Cruiser models, a letter prefix continued to indicate engine classifications; early models having the 3F 6-cylinder gasoline and 3B 4-cylinders. A naturally aspirated 6-cylinder diesel was also common, the 2H. As the years progressed, more modern turbo-diesels became the most common, although some markets (in gasoline-rich areas) received additional gasoline options. Current models sport the fantastic 4.5-liter V8 turbo-diesel, which combines excellent power with stellar fuel economy. 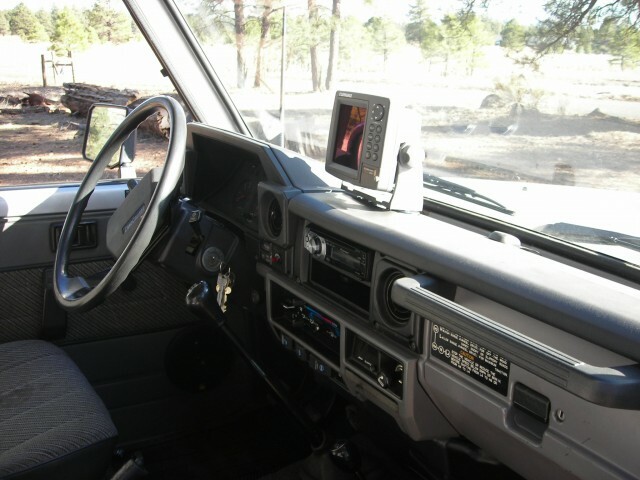 The 70 Series retained the ruggedness expected from its predecessor, but made significant strides in comfort without going so far as the 60 Series and 80 Series wagons. More modern plastics were blended into the dash and interior, while items such as front suspension seats, clad in breathable fabrics and fold-and-tumble rear seats offered users cargo options, even in the short and mid-wheelbase 70s and 74s. Retaining front and rear solid axles, strong power brakes with front disks and power steering reduced driver fatigue, and further modernized the line. 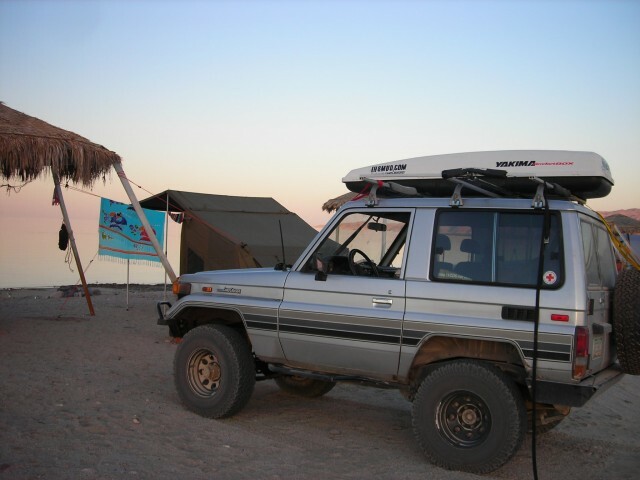 Regardless of the comfort upgrades, the success of the 70 Series platform world wide was a result of what Toyota did not, and has not, changed from the 40 Series; the vehicles’ utility. 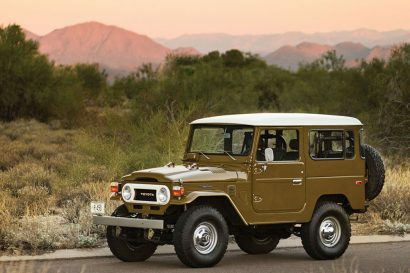 Short wheelbase models retained the nimbleness and efficiency of the FJ40 and BJ40; however, the medium and long wheelbase Land Cruisers became a pinnacle work and exploration platform. 70 Series Land Cruisers are commonly used around the world as ambulances and public and military service vehicles; not to mention the multitude of non-governmental organizations for which these trucks have been customized and configured to serve almost any conceivable purpose. 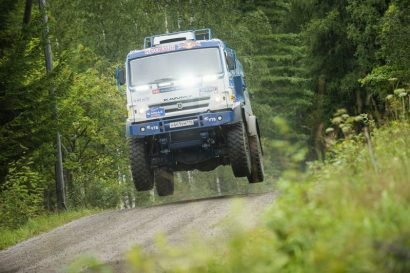 Other friends have had similar experiences, having driven these prized machines quite literally around the world, with excellent, trouble free results. With that personal history, combined with the long pedigree, the new Expedition Portal BJ74 Land Cruiser project is a welcome addition to our fleet. We hope you enjoy following the build and the adventures to follow!